Our Bank is 100% owned by MOF operating with branches nationwide and we are currently embarking on a major Cultural Transformation towards a High Performance Organisation. Our Key Initiatives are driven by various action-plans to create a high level of ENGAGEMENT while nurturing the Values of Passion, Commitment and Trust among the Human Capital of the organization. A full-fledged specialized financial institution; an international benchmark for nurturing SME excellence. To develop SMEs to be the nation’s engine of growth, in line with the Government’s economic agenda. 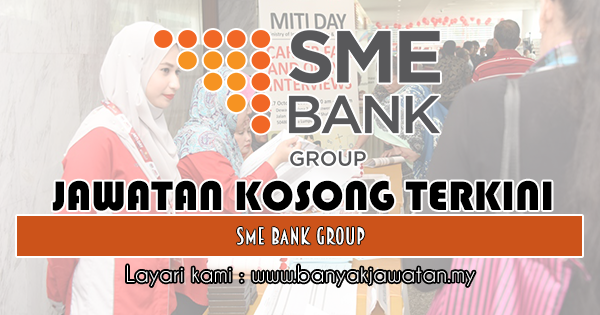 1 Response to "Jawatan Kosong di SME Bank Group - 21 November 2018"